What we don’t know about radiation can hurt us. Or maybe not. In the wake of the Fukushima nuclear disaster, one can hear the cable chatterers and other newspeople talking about radiation and its connection to cancer is a dizzying number of ways, many and perhaps most of them extremely ill-informed. Particularly, the notion of a “safe” dose of radiation is bandied about, usually in reference to what the government says a “safe” dose is. A lot of research has been done into the health affects of radiation since atomic bombs ended World War II, but actually, the harm done — or not done — by small doses of radiation remains a question unanswered. But don’t take my word for it; here’s a brilliant explanation of this mystery by the director of the Center for Radiological Research, at Columbia University Medical Center. Read it, and you will know more than you did before — even if you thought you knew what you thought in regard to nuclear energy and radiation, post-Fukushima. 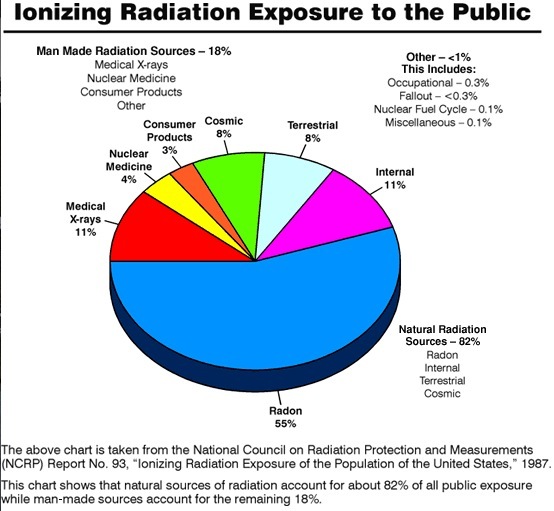 Very small doses of radiation may be dangerous if distributed over large populations. Or they may not. It’d be nice if, amid its current budgetary insanity, the Congress were smart enough to fund the research that will tell us what we have to fear, or not fear, from future Fukushimas and the all but inevitable event of radiation-related terrorism.